Located in Rockville, Germantown, and Beltsville, Maryland, we offer the highest quality of gynecologic and gynecologic oncology healthcare, as well as routine care for women and girls of all ages. We help our patients take an active role in their own healthcare, and the physicians and staff at Women’s Health Specialists work together with each patient, asking questions and staying informed so you receive the type of care you need. From your annual gynecologic screening and health maintenance to specialized minimally invasive surgical care and gynecologic oncology, we take your health very seriously. Click HERE to learn more about each member of our team. We’ve moved our Ultrasound services to the Rockville office now. Availability: Every other Wednesday and Friday. Dr. Snyder and Nadine recently returned from their women's health-focused mission trip to Guanacaste, Costa Rica. Let’s find out what they learned and discovered from their trip. 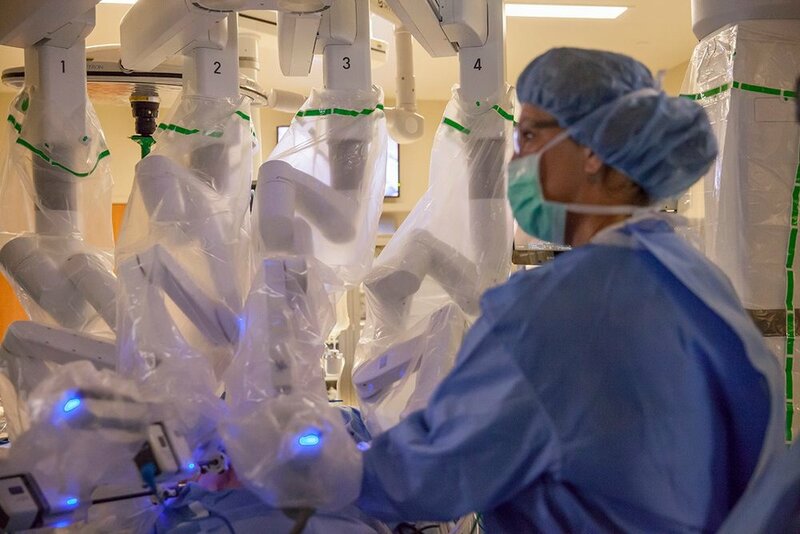 Using cutting-edge technology Contained Tissue Extraction System to replace many open hysterectomy and myomectomy surgeries. Women's Health Specialists now offers state-of-the-art sonography care for women. Patients can utilize 3D options in addition to traditional ultrasound imaging. We also perform Sonohysterography. Our surgical team is committed to providing the highest quality of care to make your surgery as easy as possible. Please take a moment to read through our Surgical Guide to prepare for your procedure. Watch this video to learn more about the services and surgical expertise offered at Women's Health Specialists. 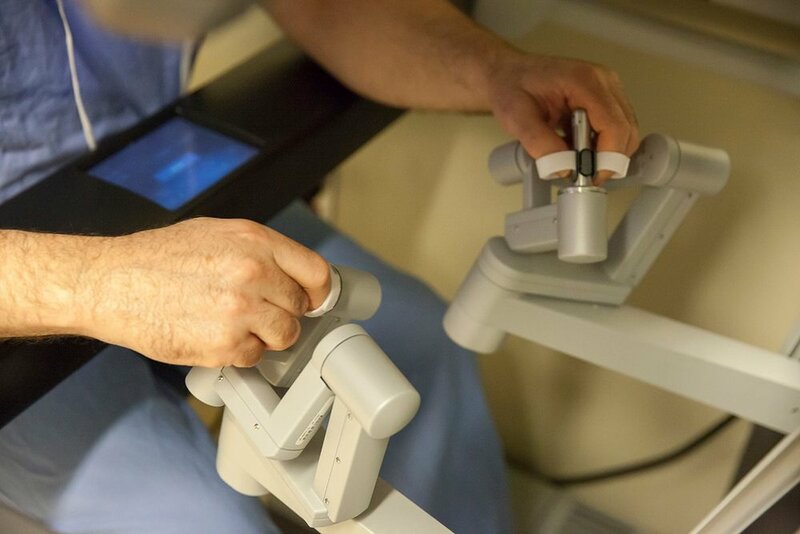 On June 1, 2017, the first procedure using the da Vinci Xi Surgical System at Holy Cross Germantown Hospital was performed by Albert Steren, MD. During your first visit, we will review your health history and discuss any questions you have about your health. For a shorter time in the waiting room, please complete your health history in our PATIENT PORTAL before your first visit. After you have booked your first appointment, login to the portal, and then click into your appointment. You will find a link to any forms that can be completed online. Need to send us your medical records? Click HERE to get our Medical Records Release Form. The insurance plans we participate with change regularly. Please call our office if you don't see your insurance carrier listed. Not on one of our accepted insurances or prefer to self-pay? We offer reduced rates for payment at the time of service. Otherwise, you will be asked to leave a $200 deposit for services rendered. Recuperate in the comfort of your home, with family and friends. Save the high costs of hospitalization and return to work sooner. Receive care using state-of-the-art equipment and facilities that have earned The Joint Commission Gold Seal of Approval® for Ambulatory Health Care Accreditation. Receive patient and family centered care. Take a video tour of Advantia Health's Indian Creek Surgery Center. Our physicians and providers are available at 2 locations in Maryland: Rockville and Germantown. We understand that cancellations happen. If you need to cancel an appointment, please contact our office 24 hours before your appointment. Appointments cancelled with less than 24 hours of notice may be subject to a cancellation fee.